Soft Power has been one of the most debated terms in the language of international politics, business and diplomacy of the last 20 years – the power of attraction over the power of coercion. 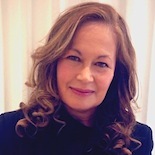 Yet beyond the strategies of nations and boardrooms, soft power points towards a new global sensibility – a new kind of societal co-existence across differences and national characteristics, informed by developments in social media, mind science and feminism. 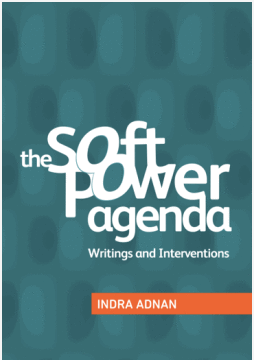 As writer, consultant and activist in the field of soft power, Indra Adnan has been charting (and forging) its development both in the UK and the wider world. This collection of her writings and interventions over the last decade demonstrates how soft power is not simply an adjunct to either diplomacy or marketing, but a new paradigm of power relations that is applicable globally, locally and personally. This entry was posted on November 4, 2014 by indraadnan2013.